Feeding America West Michigan says a good rule of thumb when donating food is to consider what you yourself would like to eat. Food should never be expired or partially eaten. Whole-grains and proteins are always appreciated. Also accepted: toothpaste, shampoo, deoderant, tampons and pads. Non-food items should be kept separate from food. On Saturday, May 14, the Grand Rapids letter carriers will once again take part in the nationwide Stamp Out Hunger Food Drive. Their goal: to collect 70,000 pounds of food, a roughly 10 percent increase from last year. 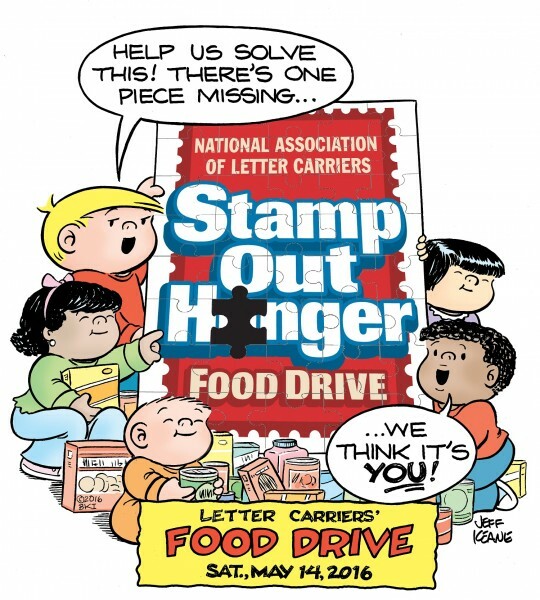 On May 14, letter carriers around the country will be going door to door collecting food for local hunger-relief charities. In Grand Rapids, that food will be donated to Feeding America West Michigan. “People need to understand the amount of effort the letter carriers put into making this happen. Many of them have to make three or four runs to collect all the food on their routes. It really is an incredible amount of food,” Estelle said. 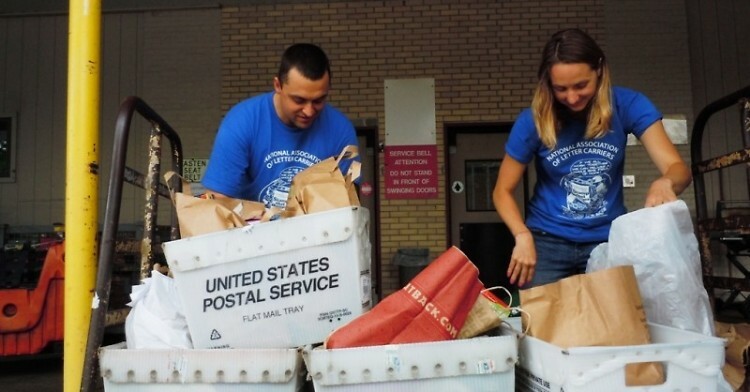 Letter carrier Andrea Faulkner is coordinating the food drive in Grand Rapids. Faulkner says she finds the event personally meaningful. As a reminder to give, Meijer is providing paper grocery bags to most free-standing residences in Grand Rapids. All Grand Rapids residents will also receive an informational postcard this week.